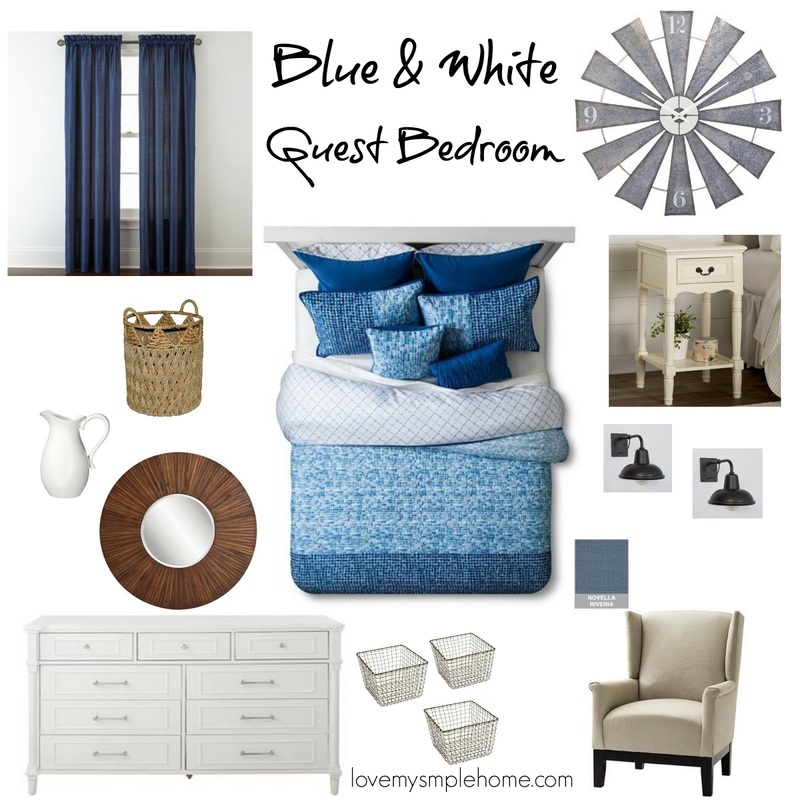 Welcome to week four of the One Room Challenge. If you need to catch up you can visit 1, 2 & 3. I'm excited today because I purchased the floors for our guest bedroom, but before we get to install them we need to make the room ready by installing all of the trim work. This week it's all about my husband, this is where I hand the baton over to him. He's the "installation guy" for this project and has been throughout all of our renovations. I'm sure he appreciates he's appointed nickname, but anyway he's been a great help to me with this challenge and I really appreciate that! Our back patio became a makeshift shop for cutting the trim. This room is finally taking shape and I can't wait to start showing you some pretty pictures! I hope you will hang in there with me because there are only two weeks left until completion. I still need to shop for new decor for the room as well as repurpose some items that I already have. Right now I am working on fixing an antique night table. I already stripped the wood veneer off, but I still need to give it a couple of coats of polyurethane and then it's good to go! If you're interested you can read about how I removed the wood veneer in this post How to remove wood veneer from wood furniture. I purchased bi-fold closet doors at Lowes nothing fancy. And I purchased Pewter Oak laminate floors at Lumber Liquidators (on clearance) in a downpour of rain, ugh! Stop by next week (week 5) to see the floors and closet doors installed. Then in week 6, I will share all the pretty pictures of the completed guest bedroom. Don't forget to visit the other guest participants in the One Room Challenge. I like the color of the floors that you picked! I can't wait to see the room once they're installed! The whole room is already unrecognizable from the before pictures. Can't wait to see the floors! Love your inspiration board! I love the color of those floors! We got our flooring from Lumber Liquidators too and will be installing it soon!